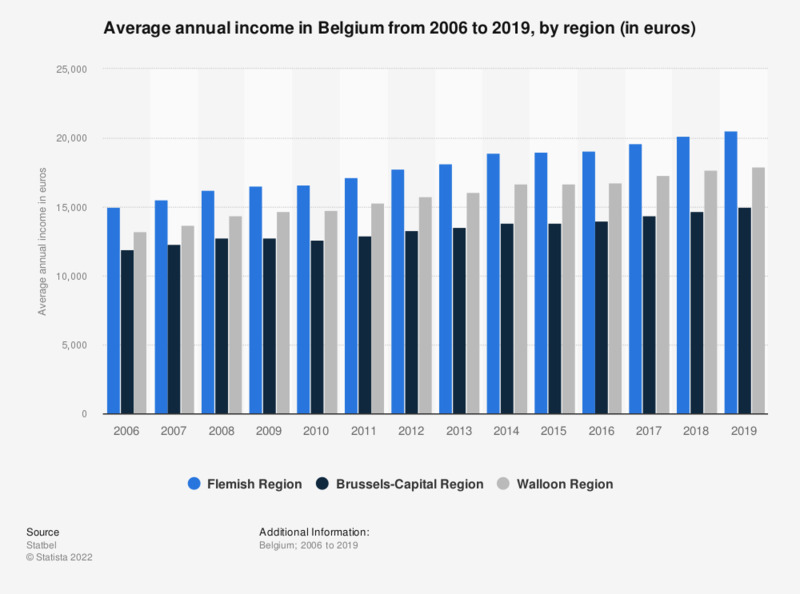 This statistic shows the average annual income in Belgium from 2006 to 2016, by region. In 2013, the average annual income in the Flemish region was 18,163 euros. In 2016, this had increased to just over 19,100 euros. * Statistics Belgium defines the average annual income per inhabitants as the quotient of the total net taxable income and the population on January 1, of that reference year.